As we creep closer to the fall release date of the iPhone 6, component leaks are becoming more frequent. While we originally saw the alleged front panel of the 4.7-inch iPhone 6 back in April, 9to5Mac has shared additional photos of the component. 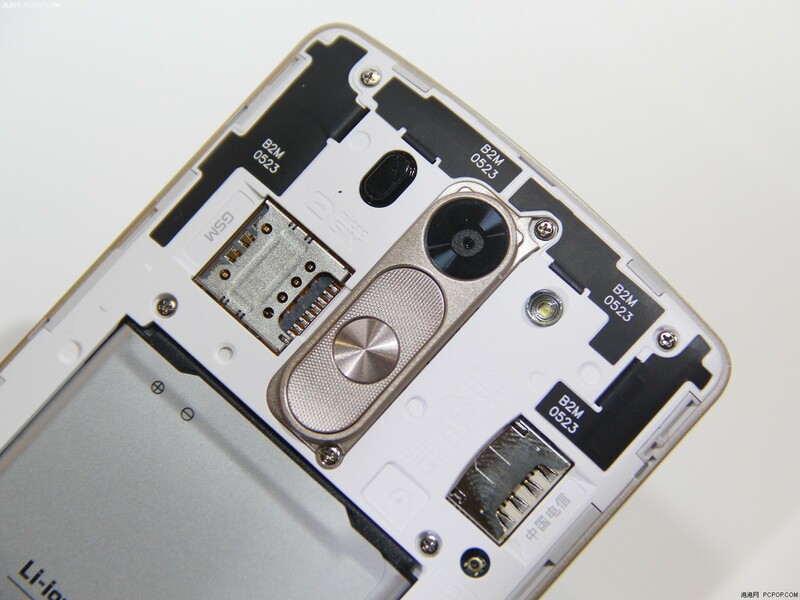 The two front panels in the photos appear to have varying locations for the device’s front camera, and it is unknown why there is a difference between the parts. The white front panel camera hole appears to be centered above the earpiece as it is in the iPhone 5s, with a sensor to the left, but the black front panel’s front-facing camera hole is to the left of the earpiece as it was in the iPhone 4. 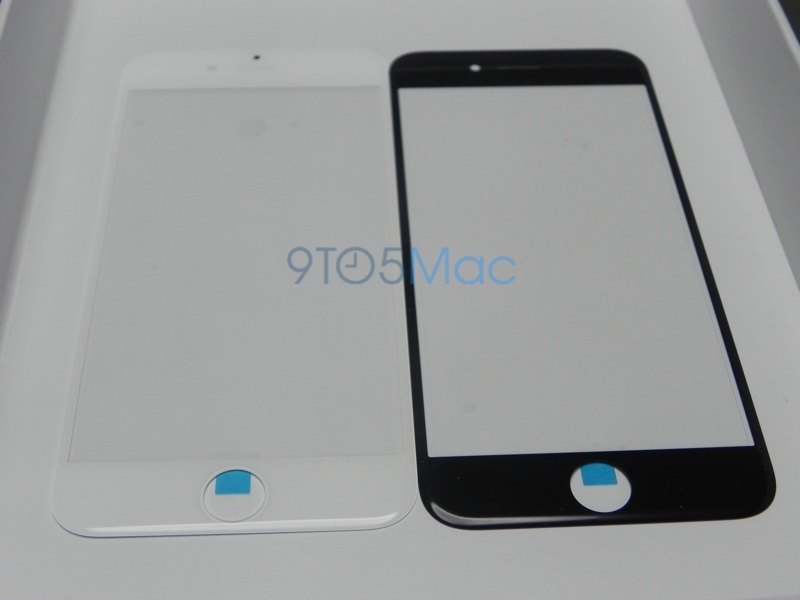 The front panel was also compared to the front panel of the iPhone 5s, showing the size differences between the two devices. 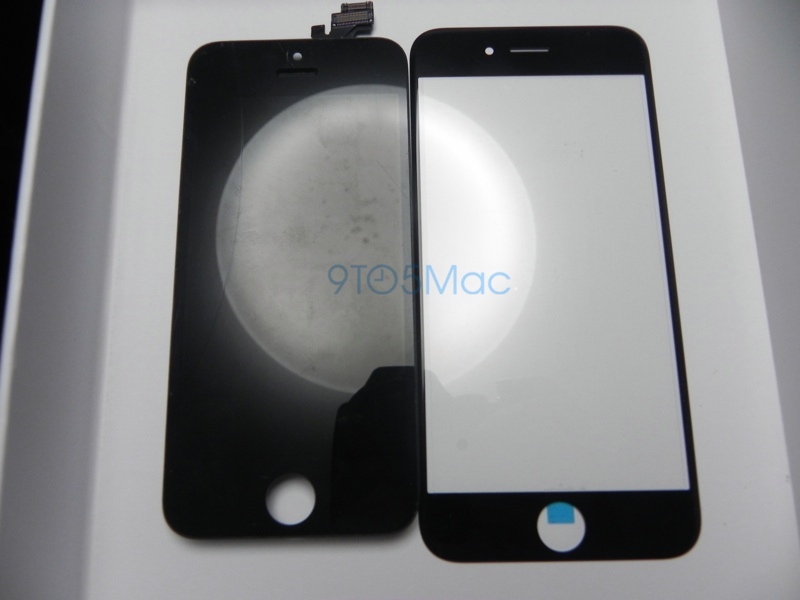 In addition to these photos of the 4.7-inch iPhone’s front panel, we have also seen images that depict manufacturing molds, backlight panels, and rear shells, but the latter component may not be from the actual iPhone 6 as a new rumor from Japanese site Nikkei has suggested the finished device may not have the thick antenna breaks that have been depicted on mockups thus far. Festival goers across the US may soon have a cashless (and cardless) payment option when they road trip to catch their favorite acts. Lollapalooza, the annual music fest in Chicago’s Grant Park, is the first big name event in the States to adopt the system. The Lolla Cashless method uses RFID-equipped wristbands to give audience members the ability to register the bracelet online and connect a credit or debit card for purchases prior to the event in early August. On site, bands can be used for transactions by tapping on a connected pad and entering a PIN code for verification. In the event that merchants lose that requisite connection, the system will store transactions until network access is restored. It’s worth noting that Lollapalooza isn’t the first festival to use the wristbands, as the Mysteryland USA festival this past May offered pre-loaded payments with Coachella, Bonnaroo and others using them for ticketing and marketing purposes. The report from Adweek specifically mentions food and drink purchases, so you may want to stash a few bucks if you’re after artist merchandise. 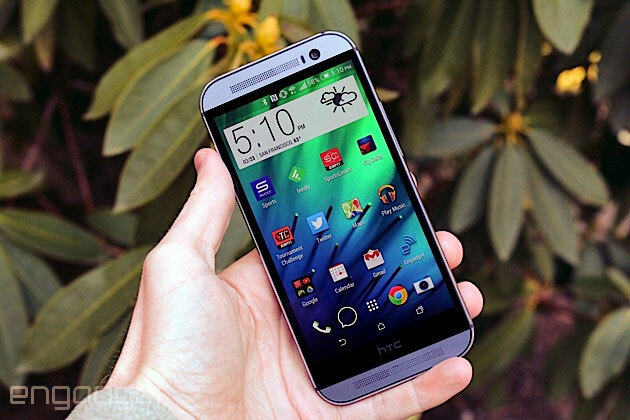 The HTC One (M8) has been a hit with critics: Our own Brad Molen calls it “a great smartphone that does a lot of fantastic things,” while Laptop Magazine goes so far as to say it’s “the best Android phone on the market.” But now that the M8 has hit all four major carriers in the US and has had a chance to stretch its legs out in the wild, how has it fared in long-term, day-to-day usage? To find out, we turn to user reviews, written by erudite Engadget readers like yourself, and they certainly haven’t held anything back. 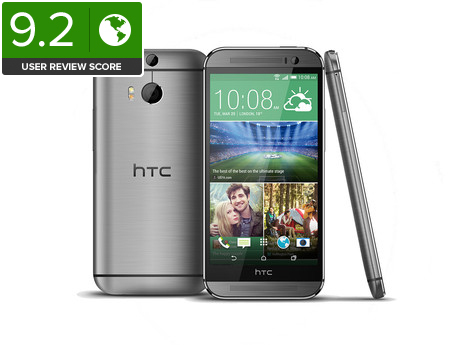 So it looks like users love the HTC One (M8) as much as, if not more than, the critics did. If you’d like to tell us how you feel about the M8, it’s as simple as clicking the “write a review” button on the page, where you’ll be taken to a simple review form. Don’t have an Engadget account? Sign up here. Don’t have the M8? Well, that’s okay, because we have thousands of products in our product database that you can review. Just search, add the product to your “have” or “had” list and you’re ready to tell us what you think about products like the Galaxy S5 or the Surface Pro 3. 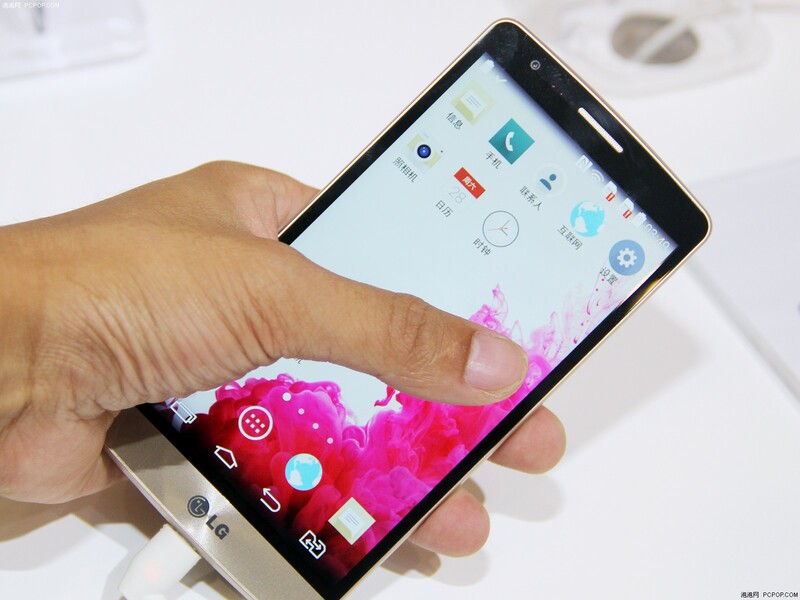 Americans, your wait for LG’s G3 is (nearly) over. T-Mobile has become the first big US carrier to take pre-orders for the 2K-capable Android smartphone, and now expects the device to hit retail shops on July 16th. Be prepared to fork over a lot of cash if you want that pixel-packed display as soon as possible, though. The G3 will cost $599 if you buy it outright, and it doesn’t currently qualify for an easier-to-swallow installment plan. Other stateside carriers haven’t revealed their plans to carry LG’s brawny handset, but we’d expect matching announcements from at least the larger networks before long. 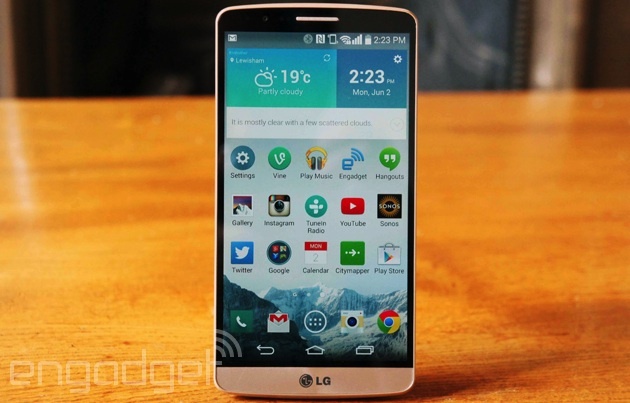 LG G3 is most definitely one of the best smartphones this year, if not the best thus far. We’ve been waiting for some info on LG G3 Mini ever since first rumors started. Thus far its been rumored that the device will sport a 720p 4.5″ display alongside a 5MP camera and so on. Today’s leak tells us a somewhat different story. 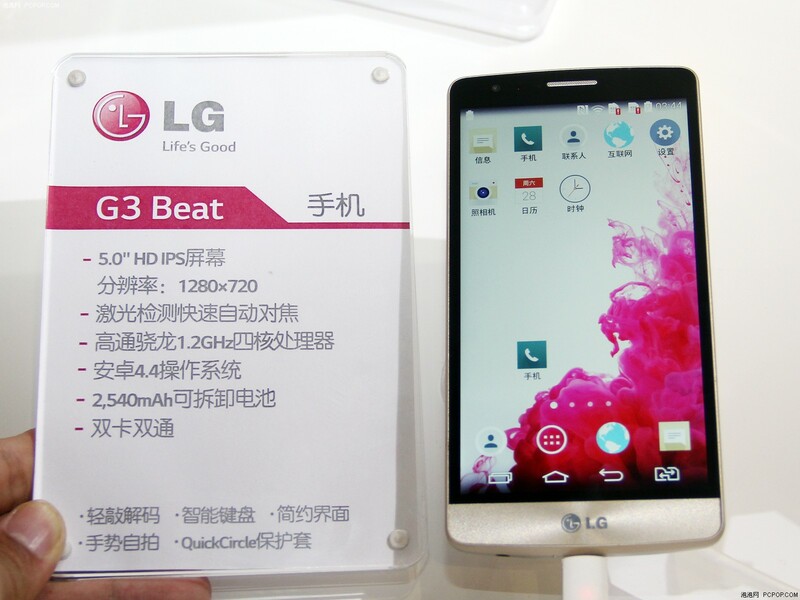 LG G3 Beat smartphone leak has appeared on a Chinese website alongside some pictures. 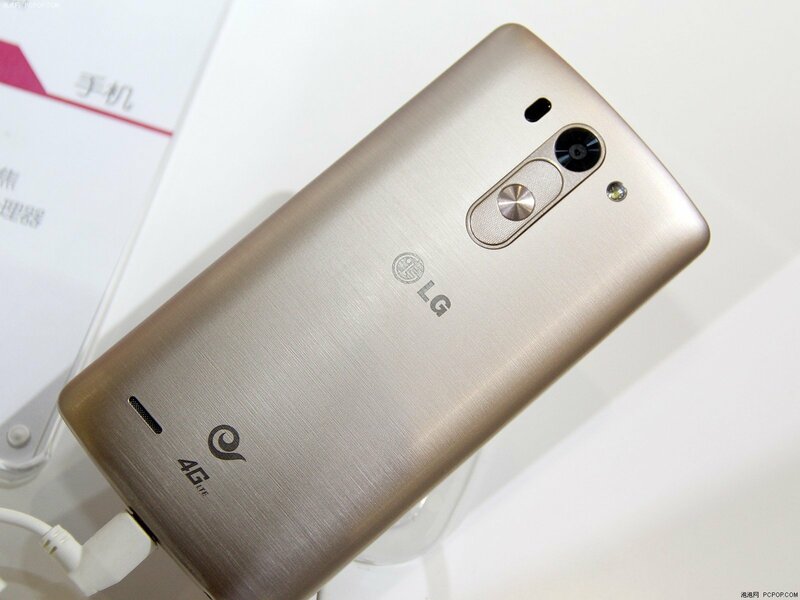 The thing is this device looks like a shrunken down LG G3, which is why we consider this will be the LG G3 Mini. If they decide to call it that of course. This leak says that the device will feature a 5″ 720p screen, 2GB of RAM, 1.2GHz quad-core processor, 8MP camera and a 16GB of internal storage. 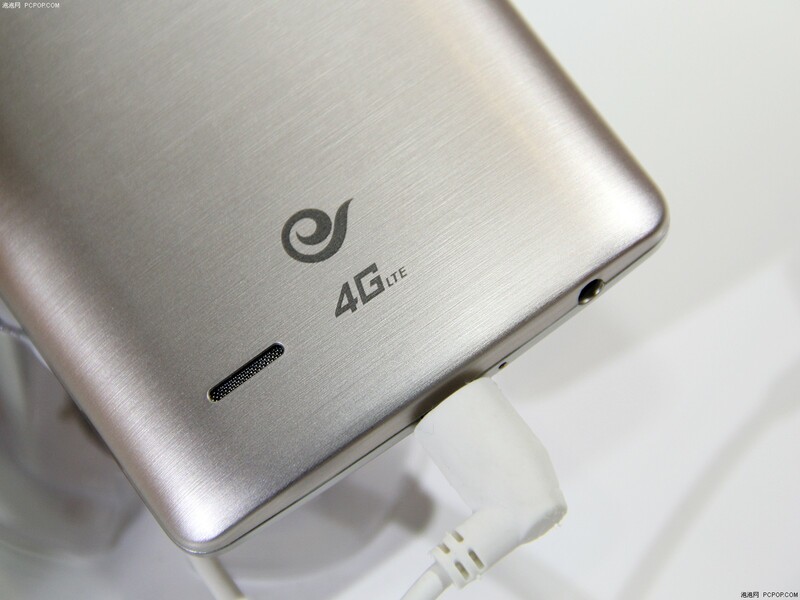 The leak also says it will run Android 4.4.2 out of the box and will be powered by a 2500mAh battery. 4G LTE should also be a part of the package. We don’t know how “mini” this device will be with a 5″ screen, but that’s where mobile technology has gone these days, unfortunately. Price of this handset should be around 2,500 yuan, which comes to around $400. There’s no word on when it will be released though, but we’re guessing late July release date. 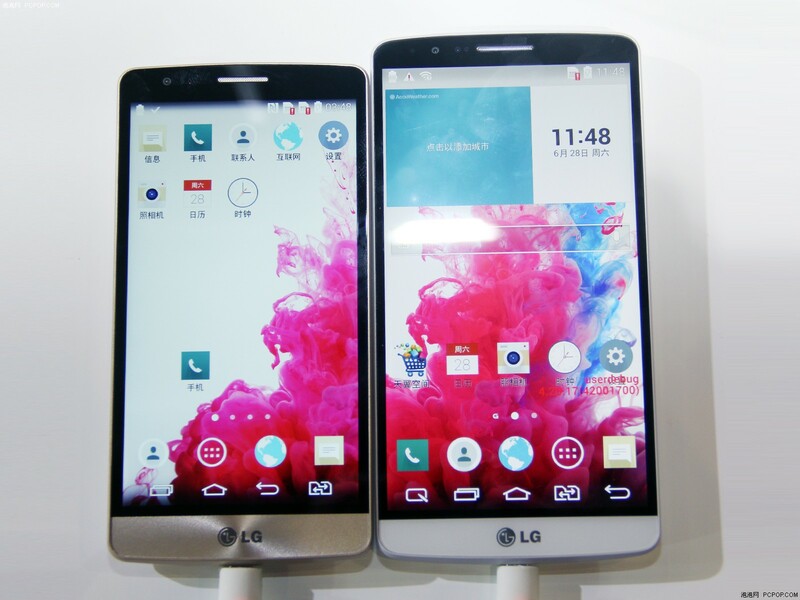 The post LG G3 Mini leaks under the LG G3 Beat moniker appeared first on AndroidGuys. 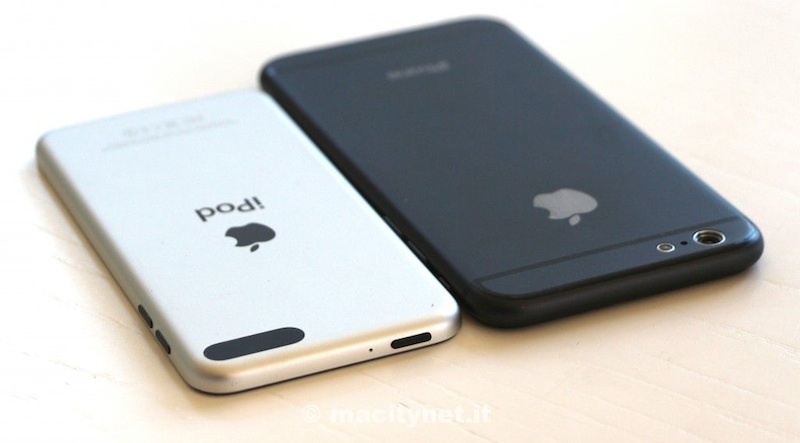 Leaked images, mockups and schematics suggest the iPhone 6 will be Apple’s thinnest iPhone model to date, with a side profile approaching that of the 6.1 mm iPod touch. A new report from Chinese media sources (Via GforGames) suggests Apple may face yield issues with the next generation iPhone due to its decision to minimize the size of the handset. According to supply chain sources who spoke anonymously to China Times, Apple may use only one brightness enhancement film (BEF) in its LCD display as a space-saving measure. Current generation iPhone displays are supplied by Minebea and use two layers in order to improve readability in these backlit displays. This change to a single layer technology may cause yield issues as the one layer has to be of a higher quality in order to take the place of two. To meet demand for this new part, Apple allegedly is looking to OMRON and Radiant as suppliers to supplement the projected output from Minebea. Despite an earlier rumor that Apple was considering adopting “touch on display” technology for future iPhone models, this latest report claims Apple will continue to use the current in-cell display for its upcoming iPhone 6. Sources also claim the main suppliers for the iPhone will remain LG, JDI and Sharp, which was rumored to have been dropped from Apple’s iPhone 6 supplier chain. According a report from Taiwan’s Economic Daily News, Apple was said to be replacing Sharp with Innolux due to “Moire” issues with Sharp’s early sample panels. Though it won’t comment on its role in future Apple products, Sharp did confirm it is betting big on Apple with an entire plant dedicated to producing displays for the Cupertino company, said Sharp Senior Executive Norikazu Hoshi in an interview with Japanese newspaper Nikkei (via CNET). Similar to other companies that supply Apple, Sharp faces some risk in this strategy with large swings in monthly production due to Apple’s once-a-year product refresh cycle. The No. 1 plant’s output goes to just one company (Apple). If you look at just this plant, it certainly presents a high level of volatility risk. But if we make LCD panels for smartphones in large quantities at the No. 2 plant, we can absorb the impact even when the No. 1 plant is not doing so well. Sharp, Minebea and other Apple suppliers are gearing up for the expected mass production of the iPhone 6 which is rumored to begin in July. The iPhone 6 is expected to launch in September and may be available in both a 4.7-inch and 5.5-inch version. Apple today released iOS 7.1.2 to the public, more than two months after releasing iOS 7.1.1. iOS 7.1.2 is a minor update that focuses primarily on bug fixes and security improvements, repairing an email attachment encryption issue and fixing a bug with data transfer for third-party accessories. The update also includes improvements to iBeacon. Apple first began working on iOS 7.1.2 shortly after the release of iOS 7.1.1, sending the update to carrier partners for approval last week. The iOS 7.1.2 update can be downloaded via the software update tool in the Settings app on iOS devices. OS X 10.9.4 can be downloaded through the software update function in the MAc App Store. Not everyone can justify splurging on a powerhouse phone like the Galaxy S5, and Samsung clearly knows it — the tech firm just unveiled four Android KitKat handsets for frugal types. The Galaxy Core II (shown here) is the standout of the bunch, although it’s a curious case of taking two steps forward and one step back. While it has a larger 4.5-inch (if still WVGA) screen and a much faster quad-core 1.2GHz processor, it also drops from 1GB to 768MB of RAM and cuts the built-in storage in half, to 4GB. Thank goodness there’s a microSD card slot, or that storage could get cramped very quickly. As for the rest? They’re much more focused on first-time owners and developing regions, like China or India. 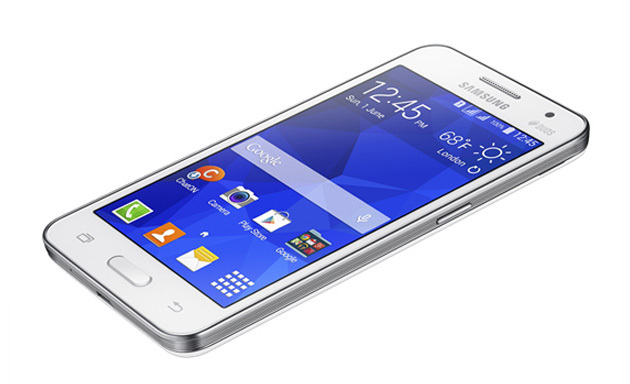 The Galaxy Ace 4 is mostly a software-focused refresh of the Ace 3 that still has a 4-inch WVGA screen and either a dual-core 1GHz or 1.2GHz processor, depending on whether or not you’re getting 3G or LTE data. The Galaxy Young 2 and Star 2, meanwhile, are strictly for those with basic needs — both have 3.5-inch half-VGA screens, single-core 1GHz processors and fixed-focus cameras, while the Star 2 omits even 3G data. You probably won’t be rushing to line up for any of these devices, but they should be big deals for anyone who has just enough cash to dip their toes into the smartphone waters.